As a former school administrator and an Education and Communication Consultant, I have worked with families who are angry and are ready for a fight. My goal has always been to help families look for ‘the evidence’ that supports their claim or the district’s claim. 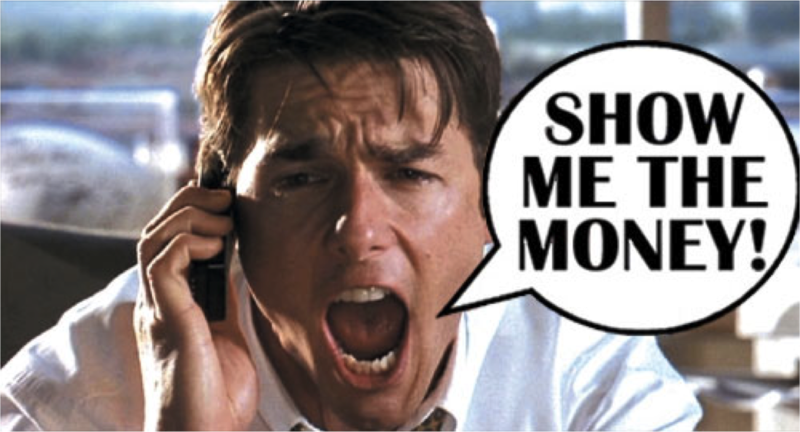 Now that I have your attention, think back to the movie Jerry Maguire. Remember when Rod Tidwell tells Jerry to say “Show me the money” if he wants him to remain as his agent. What Rod is looking for is ‘evidence’ that Jerry can deliver what he says he can deliver. Parents should be asking their districts the same question. Districts should be asking families the same question. When either side makes a claim that the child is or isn’t making progress or that the program or services are or are not appropriate, they need to back up their claim with ‘evidence.’ Where was the child performing; what’s the baseline-data? Where is the child currently performing; what’s his/her present level of performance? Best practice says data should be used to make instructional decisions. Assessment drives instruction. Data driven practices are what businesses uses to improve their bottom line. Evidence-based data is what educators should be using to plan, develop and monitor a child’s program. It is the data that should be driving the conversations. As an administrator, I held my staff accountable. When teachers reported to parents that the student was making progress, I asked for the data. I didn’t want to hear subjective statements. I wanted evidence going from baseline to current level of performance. When advising families, I tell them to ask for the data or to produce data that supports their position. Data is what should be driving their conversations. It is much more difficult to argue with the facts. Recently I had a client who felt their child was not making progress. They felt the early intervention strategies were not working. In their opinion, their child was not learning to write and required special education services. They felt he was struggling academically and emotionally. They requested an IEP meeting to discuss their concerns and to request a comprehensive evaluation. At the meeting, the district didn’t argue with the family. Instead the teacher used ‘evidence,’ a story the child had recently written, to demonstrate how the regular education supports were in fact working. As the teacher read the child’s story to the team, the parents cried with joy. They realized the strategies were working; their child was making significant progress as shown by ‘the evidence.’ It was ‘the evidence’ that drove the conversation during the rest of the meeting. Together parents and educators discussed the best way to continue to provide the child with supports to close the achievement gap. On the other hand, I had another family who produced ‘evidence’ that their child was not making progress. Their claim was the district was not providing their child with an appropriate program. For the past two years the district kept presenting the same ‘evidence’ to support their position. It was ‘this evidence’ that highlighted the parent’s claim regarding the inappropriateness of the program. In the end, it was data that drove the conversation and enabled the family and school district to work together to develop an appropriate program for the child. It’s all about objectivity vs. subjectivity. Trust comes when you can ‘show the money.’ My advice to both parents and districts is to use ‘evidence based data’ to drive their conversations and decisions. This is the best way to ensure that students are getting the supports and services they require to access the general education curriculum and close the achievement gap.